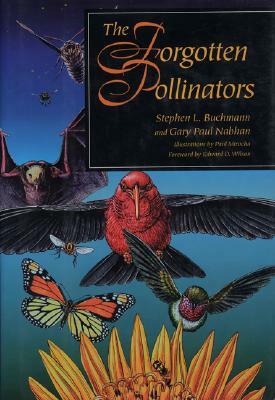 Stephen Buchmann supports pollinator science and outreach at P2 with over a quarter century of experience. His ever-expanding portfolio includes science, art, research, photography, ecotourism, and conservation. Formerly a USDA-ARS research entomologist and currently an adjunct faculty member in the entomology department at the University of Arizona, Tucson, Dr. Buchmann is an expert on bees of the southwest and tropics. A prolific writer, he has authored/co-authored 8 books and over 150 scientific publications, including “The Forgotten Pollinators” which brought the issues of pollination into view for the general public. He has been active in formulating international laws (Sao Paulo Declaration) protecting pollinators and helping put pollinator friendly language into the US Farm Bill. Dr. Buchmann also holds joint research appointments with the Arizona-Sonora Desert Museum, and the American Museum of Natural History in NYC. As a founding member of NAPPC, Dr. Buchmann continues to serve on the steering committee and supports special NAPPC projects. He received his doctorate in entomology from the University of California, Davis. His current research interests include native bee nesting behavior, conservation biology and pollination ecology, especially buzz pollination. Gary Paul Nabhan is an internationally celebrated nature writer, food and farming activist, and proponent of conserving the links between biodiversity and cultural diversity. He has been been honored as a pioneer and creative force in the “local food movement” and seed saving community by Utne Reader, Mother Earth News, New York Times, Bioneers, and Time magazine. As the W.K. Kellogg Endowed Chair in Sustainable Food Systems at the University of Arizona Southwest Center, he works with students, faculty and non-profits to build a more just, nutritious, sustainable, and climate-resilient foodshed spanning the U.S./Mexico border. He was among the earliest researchers to promote the use of native foods in preventing diabetes, especially in his role as a co-founder and researcher with Native Seeds/SEARCH. Gary is also personally engaged as an orchard-keeper, wild foods forager, and pollinator habitat restorationist working from his small farm in Patagonia, Arizona near the Mexican border. He has helped forge “the radical center” for collaborative conservation among farmers, ranchers, indigenous peoples and environmentalists in the West. He played key roles in establishing the Ironwood Forest National Monument, community-based seed banks, land reserves for conserving wild crop relatives, and restored habitats for migratory pollinators throughout the West. He works most of the year as a research scientist at Tumamoc Hill and the Southwest Center of the University of Arizona, but he is also engaged with several food justice and farming alliances, including Sabores Sin Fronteras, Santa Cruz Valley Heritage Alliance, Wild Farm Alliance, Renewing America’s Food Traditions, and the Borderlands Habitat Restoration Initiative. Nabhan is humbled and honored to serve as a professed Ecumenical Franciscan brother, helping the Franciscan Action Network in shaping ethical responses to environmental injustice, to immigration issues, and to climate change.